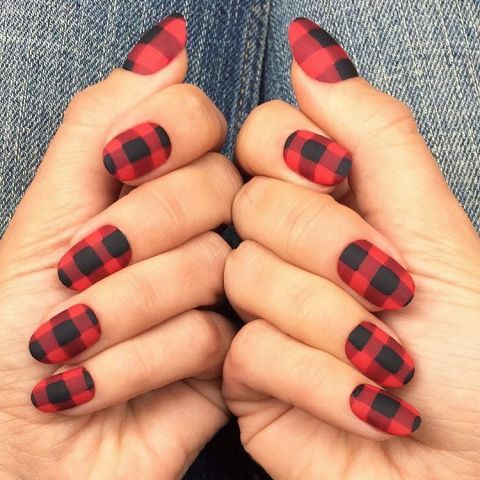 Nail the seasonal yet inconspicuous look without getting cheesy. 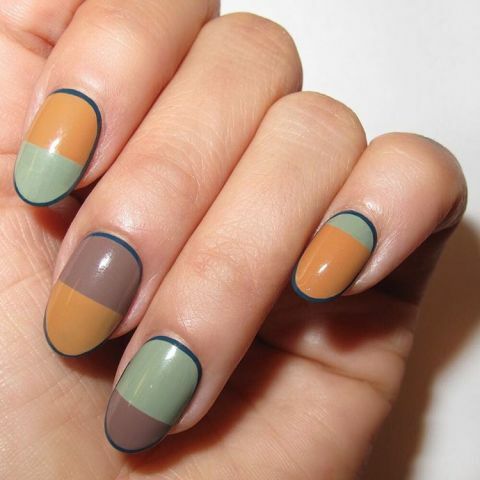 When you’re swapping your summer brights in favor of cozy neutrals this fall, you might want a nail look that matches those muted cable-knit sweaters. 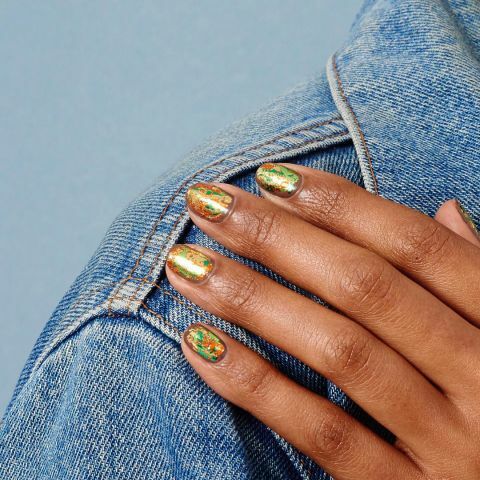 Find your fall-appropriate nail look in neutral half moons, autumnal gold leaf, and more from Instagram’s best nail artists, here. 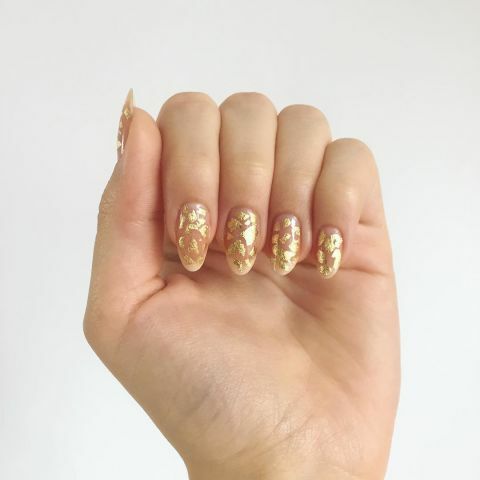 Take a metallic riff on falling leaves with flecks of gold leaf instead. Start with a clear base coat. While it’s still drying, gingerly apply gold pieces throughout. Let dry and finish with a clear base coat. 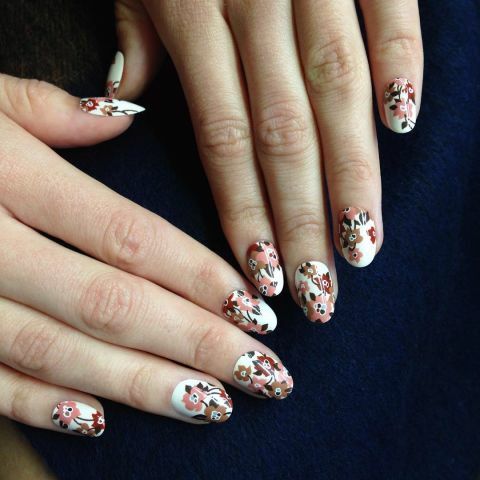 Leopard is a classic fall pattern, but we’re not completely over summer pastels. 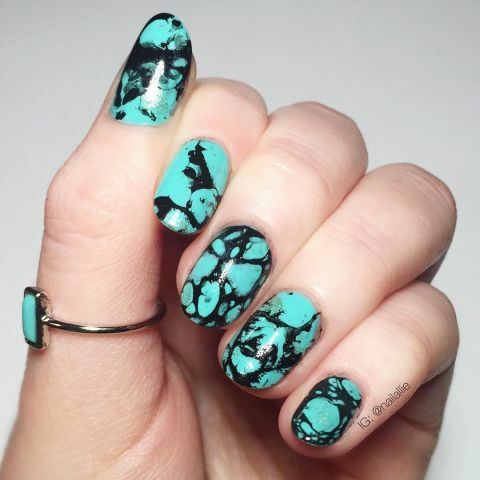 Paint one edge with a leopard design and let dry. 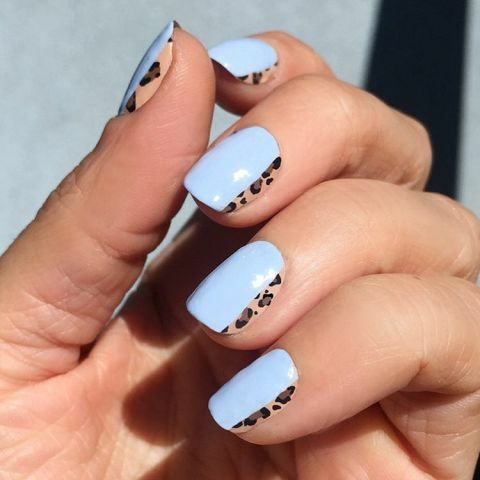 Add a cotton candy blue lacquer over two-thirds of your nail, so the animal print peaks through. Set with a clear topcoat. Throw it back to weird ’70s furniture without the kitsch thanks to this striped look. 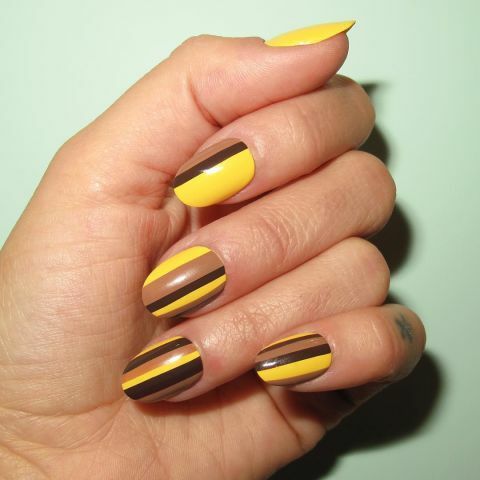 Paint your nails in vertical stripes of mustard and shades of brown, and always finish with a topcoat. Flowers aren’t just for spring if you choose a neutral color palette, done here in browns, pale pink, and and red. Next articleIs it Monday Yet ! ?